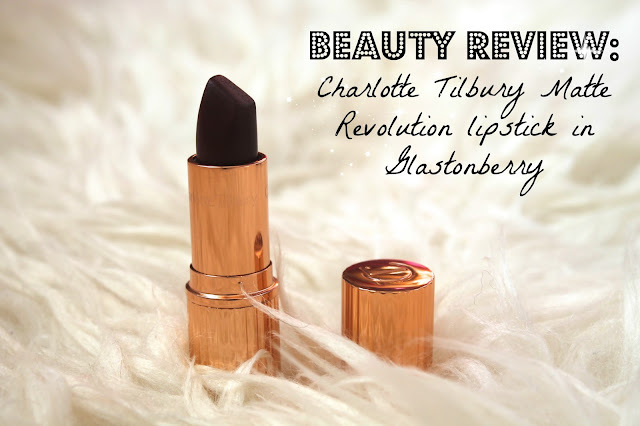 If you've seen my latest haul post then you'll know that I recently splurged on my first ever Charlotte Tilbury product! *Does excited / happy dance* I ended up choosing this lipstick as I'd seen Zoella wear it in a video and as always she looked absolutely gorgeous! As I bought it online I had to go by the colour swab on the Selfridges website which in all fairness was fairly true to shade. Packaging wise, its absolutely stunning. The actual lipstick is this lovely almost rose gold colour which is ribbed the whole way around. Literally beautiful! Now onto the actual product: unfortunately I've found it to be quite drying even when applied over a lip balm. Because it's matte it has a tendency to cling to all the little lines and flecks of dry skin on your lips. I'm not going to lie I did find that quite annoying as it was so expensive I would have expected a better formula. I also found it quite difficult to apply as it is so dark there's no room for error. Unfortunately I don't have a matching lipliner, but I intend to get one because I really think that will help. Now you may be thinking that I didn't like the lipstick, but you're wrong. The colour pay-off is incredible! It really is a very, very, dark lipstick! With a lip liner I really think you could achieve a great finish and I intend to persevere with it! If you're looking for a dark lipstick for autumn and are willing to pay a little extra I would recommend. However I would say, maybe to take a trip to Selfridges and try it out first to make sure the formula would be okay work for you. Oh my, I love love love the packaging of these lipsticks! This shade had been on my wish list for a while now, and I think I may need to finally make the splurge this season! It's such a beautiful colour.